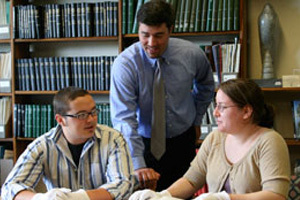 This minor in Economics is offered by the HGEP Department. Upon completion of the minor, students will succeed in analytically and historically integrating contemporary economic events—both market and policy based into their world view(s). At least 6 of the credits overall toward this minor must be at the 3000 level or above. A maximum of 6 credits of independent study or internship may be applied to this minor.